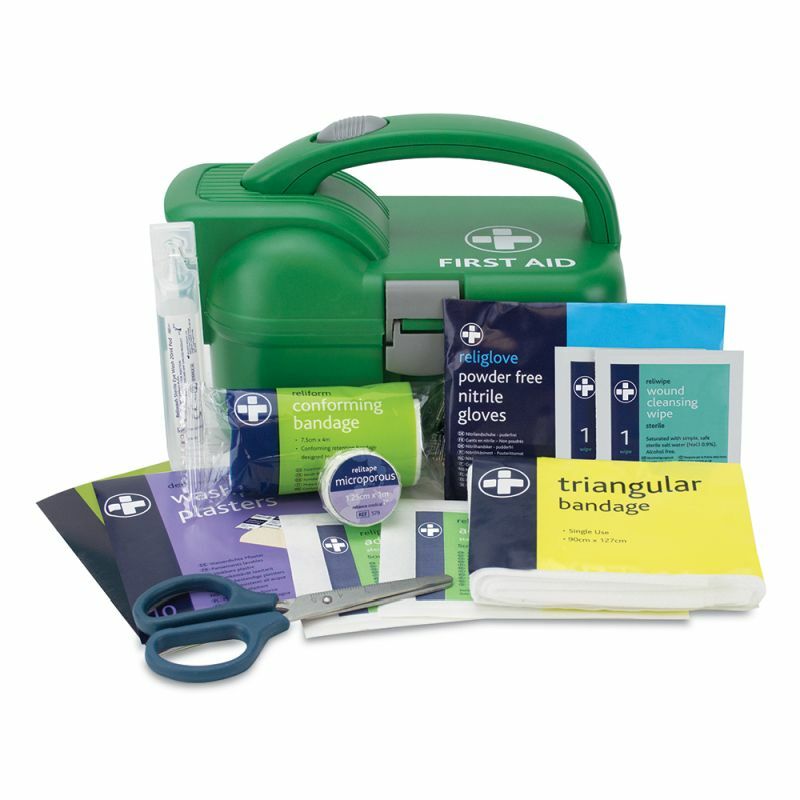 Small and practical, the First Aid Kit in Green Torch Box has been designed to care for your first aid needs, whether you're working on site or travelling to a new location. 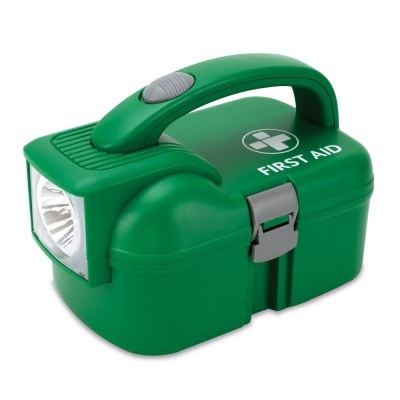 With an integrated torch to light your way in dark places, the kit contains essential first aid items for minor injuries incurred while out and about. Designed with nighttime road traffic accidents in mind, the case incorporates an integrated torch with a switch built into the carry handle to allow you to illuminate any dark areas during an emergency situation. This makes it especially suitable for when working on site in a remote location, or when driving to your next job. Manufactured with the durability of a petrol container, this tough and compact kit has a tough side clasp to keep the lid airtight and the first aid items secured and away from dust and moisture. You never have to worry about your safety or that of your employees with one of these kits, helping you stay prepared for any accident. What's Included in the Torch First Aid Kit?